When Microsoft launched Windows Phone it asked phone makers about one thing – uniformity and consistency with chips. Qualcomm rules that ecosystem with its Snapdragon chips now, but that’s soon about to change, according to Carlo Bozotti, chief executive of STMicroelectronics himself, quoted by Forbes. None other than Nokia is about to adopt ST-Ericsson chips for some models in the next generation of Windows Phone devices, expected to come out as WP8 handsets. The chips will probably end up being featured on later Nokia WP handsets. Not that much of a surprise given Bozotti’s earlier suggestion that Nokia could use ST-Ericsson chips and the warm relationship between the Finns and the European silicon maker, is it? The ST-Ericsson U8500 is a dual-core chip based on Cortex-A9 with support for clock speeds of up to 1.2GHz for each core and similar in terms of performance to the latest of Snapdragons out there with its 12 hours of continuous full HD playback on a single charge. In addition, the chip comes with integrated baseband radio of the 21Mbps HSPA+ kind. 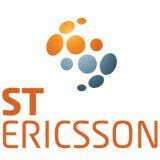 The Finns have 12 models planned for 2012 and at least some of them are to feature ST-Ericsson’s chips, according to Bozotti. Currently, the Samsung Infuse 4G and the T-Mobile Sidekick 4G are the latest handsets flaunting ST-Ericsson’s silicon. 1.2 gigs of speed? Thats seems pretty sweet deal..bring it on!! I think our Sammy will kill the game with a Galaxy S II with WP7 and Mango update...!